You can create a basic WPF application using Visual Studio 2010. Open Visual Studio and select File | New | Project. 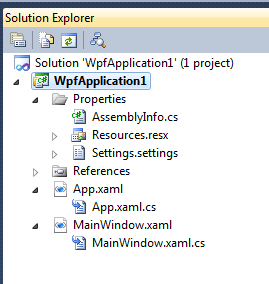 Then select WPF Application as the template to use for creating the project. This will generate a project with the project structure shown below.